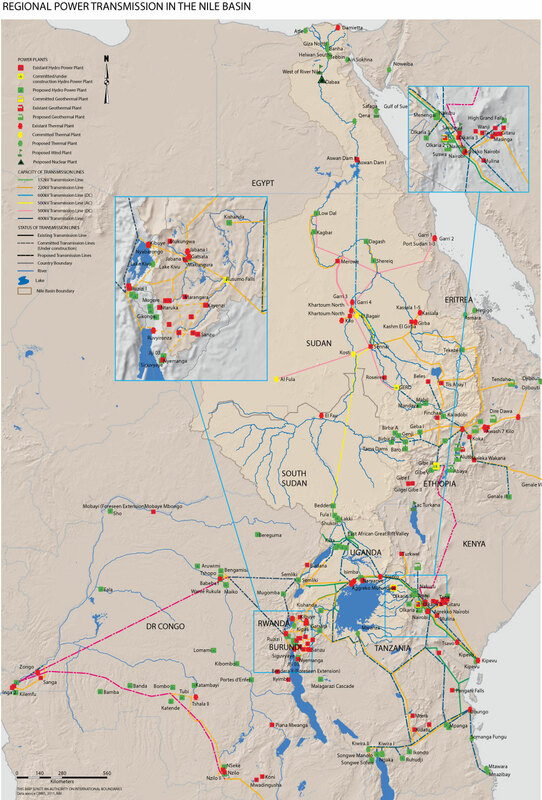 The Nile Basin Initiative promotes regional transmission interconnection projects in partnership with the Eastern Africa Power Pool. Such interconnection projects allow utilities to share reserve margins across a wider operating area, thus reducing the need for installed capacity to meet reserve requirements. Regional interconnection becomes even more important as the penetration of variable renewable energy grows. As example, the 500 kV HVDC Eastern Electricity Highway Project under the First Phase of the Eastern Africa Power Integration Program will allow Kenya to purchase relatively cheaper hydropower energy from Ethiopia and support Ethiopia’s system when water is scarce. Electricity demand in much of the Nile Basin is constrained by available supply, resulting in people either not having any access or not being able to consume as much as they would like. Such unmet demand is not captured in electricity data and makes it difficult to measure electricity demand in a holistic sense. Except Egypt, the Nile Basin member states all have a per capita electricity consumption which is lower than the initial threshold level of electricity consumption for rural households (250 kilowatt-hours per year). Investments are required in hydropower and transmission interconnectors, to raise the threshold to at 500 kWh per year (recommended for urban households). Today, unreliable power services mean that businesses and factories are frequently interrupted, reducing profits and requiring an array of back-up sources. These often come in the form of diesel generators, which are polluting and require costly fuel inputs. The economic costs of power outages are substantial in the Nile basin partner states. The immediate economic cost of power shortages can be gauged by looking at the cost of running backup generators and forgoing production during power shortages. As an example, the use of backup generators as a hedge against unreliable supply is estimated to cost the East African Economies of Kenya, Uganda and Tanzania, 2 %, 5% and 4% of GDP each year (AICD, 2012). Through Interconnectors, the distributed nature of renewable power generation can also help to alleviate the problem of power service unreliability. Longer-term NBI ambitions for significant electricity trade are predicated on developing the substantial hydropower resources of the DR Congo (particularly Inga with 40,000 MW of potential in a single site) and of Ethiopia and Sudan.